2018 saw the launch of the UK’s largest regional facility, Farm Manchester. Adjoining the Old Granada Studio site, it offers 23,000 sq ft of fantastic post production. Wire Broadcast provided all system integration services to allow the full range of HD, UHD, Dolby Atmos and VFX services. Farm Manchester is housed on the first floor of Allied London’s new development cluster in the St John’s area of the city. There will be a 40-seat screening theatre, roof terrace, 17 Avid offline suites, four finishing suites, VFX suites, a Nucoda grading suite and four Pro Tools audio suites. Elsewhere, the facility will be tracklay suites, VO booths, QC and mastering suites. Two 10GB fibre lines connect the facility with the Farm sites in London, Los Angeles, Bristol and beyond. 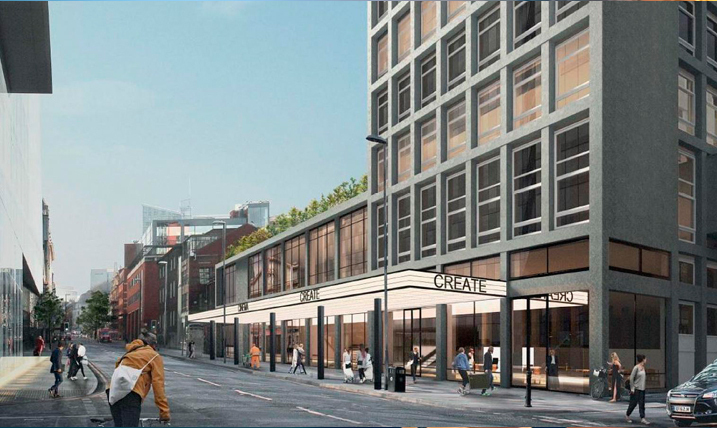 Adjoining the Old Granada Studio site, it offers 23,000 sq ft of fantastic post production.